In a move that may prove unappetizing to some restaurants, Yelp is rolling out nationwide a program that puts health-inspection scores on eateries' pages on its review site. The feature is already in use in San Francisco, where Yelp began working with city officials in 2013 to make inspection data more readily available to consumers trying to decide where to dine. 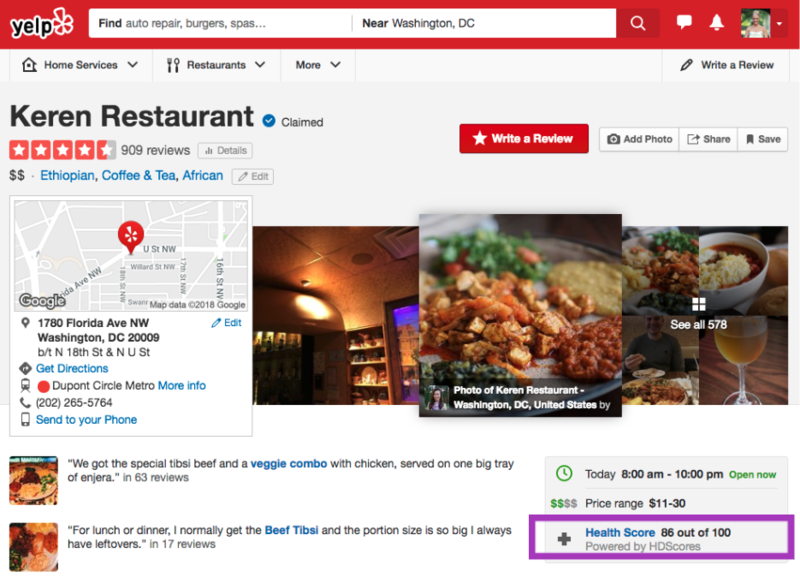 In expanding around the country, Yelp joined with a company called HDScores to glean health-inspection reports from government websites. HDScores has pulled more than 6 million inspection reports flagging more than 14 million violations involving more than 1.16 million restaurants and food-serving establishments in 42 states, the company said on its website. Yelp is adding the data to restaurants in New York, California, Texas, Illinois and the District of Columbia. Data for eating establishments in other states will be rolled out in coming months, it said. Restaurants in Los Angeles County are required to post letter-grade cards in their windows, and a 2005 study found that after the grade-card program began in 1998, food-related hospitalizations in the county declined 13.1 percent the first year. The decrease was sustained during the next two years, according to the study. "The results suggest that restaurant hygiene grading with public posting of results is an effective intervention for reducing the burden of foodborne disease," the study's authors wrote. Yelp's pilot run in San Francisco faced headwinds from the Golden Gate Restaurant Association, which argued that a poor inspection score could stay online long after any problems were fixed. "Online review platforms are a helpful tool for learning more about a restaurant," William Weichelt, the National Restaurant Association's food safety director, said in an emailed statement. "We urge customers to check the date on health-inspection data provided by these platforms to ensure it is the most current." "Our goal has always been to give consumers as much information as possible about local businesses," Yelp said in a blog post announcing the program's expansion. It cited results of another study this year that found "posting restaurant hygiene scores prominently on Yelp leads to a 12 percent decrease in purchase intentions for restaurants with poor scores relative to those with higher scores." Cities also handle inspections and grading differently, with Miami using a pass/fail system and New York using a letter-grade system akin to what's done in Los Angeles County.